Here's a quick and easy, clean and simple card for you today. I embossed the stem in white and added a BG button. The sentiment is stamped in Ocean Tides on Aqua Mist, I was hoping it would be darker. Not so much. Oh well. Hope your week is off to a great start! Becky Simplicity is tops! I love the button added fo a pop of color. I think the sentiment looks good. I just love how you pair all those fun colors together. Such a beautiful elegant card, Becky! 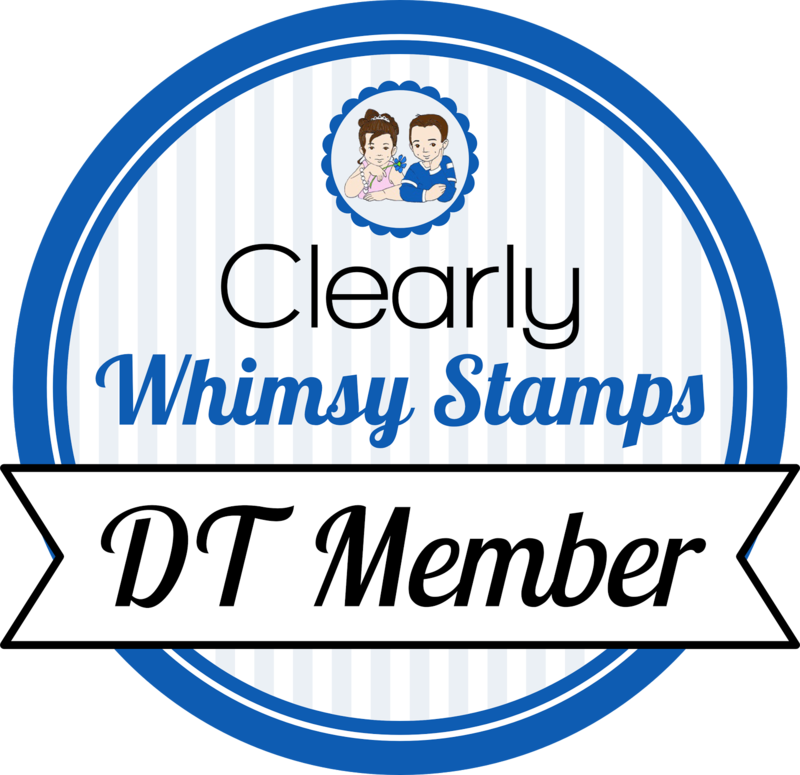 The colors are beautiful and you did an awesome job with the embossing. Love that button again!! This card is just so striking and beautiful! I adore the green on green color scheme and the striking white stem! Simply stunning! Oooh, this is fantabulous! Sheer perfection! Love the white embossing too! 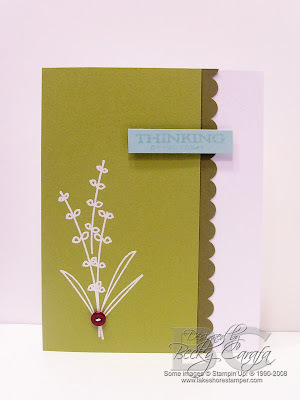 I really love the way that white stamping looks against the green--fabulous! Oh, my. This card is perfect! Love the colors, the white, the layout...everything. Becky, this is such a beautiful card! I would be drawn to your card if I were browsing in a store! It's fabulous! I Didn't Forget . . .
Lily at the Beach Release Day! Pink Cat Release Coming Up!